Christy Walton was born in 1955 and is the widow of John T. Walton, who was the son of Sam Walton the founder of Walmart. After Johns death in 2005 Christ Walton inherited his fortune. John Walton died unexpectedly when the experimental ultra light aircraft he was flying experienced complications soon after take off and crashed. 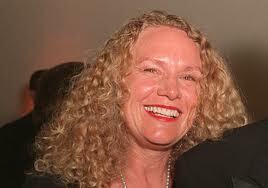 Christy Walton is very active in charity and non-profit organizations. Walmart is an American multinational corporation. The company is the worlds largest public corporation when ranked by revenue, the biggest employer in the world and the largest retailer. Christy Walton lives in Jackson, Wyoming. 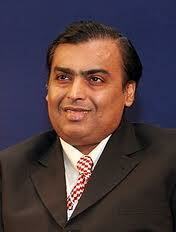 Mukesh Ambani was born in 1957, he is an Indian business magnate. Ambani is the chairman and managing director of Indian Conglomerate Reliance Industries, the largest private sector enterprise in India. Ambani set up one of the largest and most complex information and communications technology initiatives in the world in the form of what is now called Reliance Communications Limited. He directed and led the creation of the worlds largest grassroots petroleum refinery in Jamnager, India. Mukesh Ambani lives in a private 27 storey building in Mumbai, claimed to be the most expensive home in history. 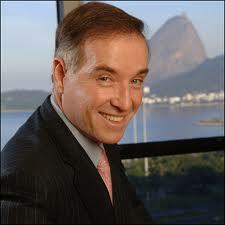 Eike Batista was born in Brazil in 1956, his family moved to Europe when he was a teenager. He studied in Germany and returned to Brazil in early 1980s and focused his attention on the gold and diamonds trade. Batista implemented the first mechanized alluvial gold mining plant in the Amazon, marking the beginning of the EBX Group. Batista is president of the EBX Group, which now includes five companies. He enjoys marine sports and in the 90s was Brazilian, US and World Champion in the super offshore powerboat class. 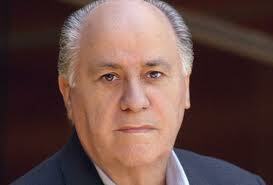 Amancio Ortega was born in 1936 in Leon, Spain. He is a Spanish Fashion Entrepreneur. At a young age Ortega studied the textile industry and started making his own products, at age 27 he founded his own company. He started his first store in 1975 and by 1989 operated 100 stores in Spain. In 1985 Ortega created Inditex as a holding company for his Zara brand, as well as smaller chains. Inditex became one of the largest textile companies in the world. Ortega keeps a very low profile and there are few photos of him. He lives in a discreet apartment building in the center of A Coruna. Lakshmi Mittel was born in 1950 in Rajasthan, India and is an Indian steel magnate. 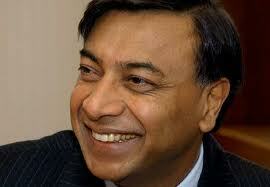 He is chairman and CEO of Arcelor Mittal, headquartered in Luxembourg. Arcelor Mittal is the worlds largest steel making company and is the market leader in steel use for automotive, construction, household appliances and packaging. He started in the family steel business in the 1970s and btanched out on his own in 1994. Lakshmi Mittel lives in a lavish home in Kensington, London. His daughters wedding was the most expensive in recorded history. 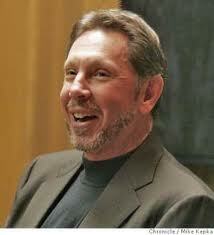 Larry Ellison was born in 1944 in Bronx, NYC. He is an American business magnate and is co-founder and CEO of Oracle Corporation, one of the worlds leading enterprise software companies. In 1997 Ellison was made director of Apple Computer after Steve Jobs came back to the company. He resigned from Apple in 2002. Ellison owns stakes in Salesforce.com, NetSuite, Quark Biotechnology Inc and Astex Pharmaceuticals. In response to “Sept. 11” attack Ellison made a controversial offer to donate to the Government software that would enable it to build and run a national identification database and issue ID cards. 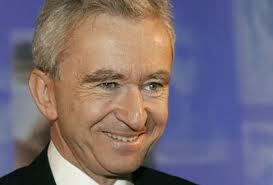 Bernard Arnault was born in 1949 in Roubaix, France. He is a French business magnate. He is best known as the chairman and CEO of the French conglomerate LVMH. Louis Vuitton S.A, better known as LVMH is a French multinational luxury goods conglomerate headquartered in Paris. In 1981 Arnault emigrated to the United States. After three years of not being particularly successful he returned to France. He has led his company through an ambitious development plan, turning it into one of the largest luxury goods companies in the world. Warren Buffet was born in 1930 in Omaha, Nebraska. 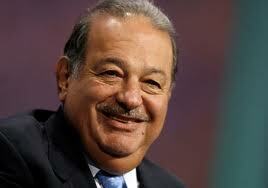 He is an American business magnate, investor and philanthropist. 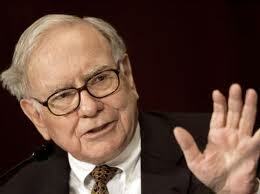 Buffet is widely regarded as one of the most successful investors in the world. He is the primary shareholder, chairman and CEO of Bershire Hathaway. Bershire Hathaway is an American multinational conglomerate holding company that oversees and manages a number of subsidiary companies. Buffet is noted for his adherence to the value investing philosophy and for his personal frugality, despite his immense wealth. 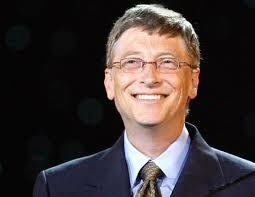 William Gates lll was born in 1955 in Seattle, Washington. He is an American business magnate, investor, philanthropist and author. Gates is the former CEO and current chairman of Microsoft, the software company he founded with Paul Allen. He is one of the best known entrepreneurs of the personal computer revolution. In 2000, Gates and his wife combined three family foundations into one to create the charitable Bill and Malinda Gates Foundation, which is the largest transparently operated charitable foundation in the world.